A busy bag is an activity that a little one can entertain themselves with. It’s perfect for quiet play somewhere like a doctor’s office or church. 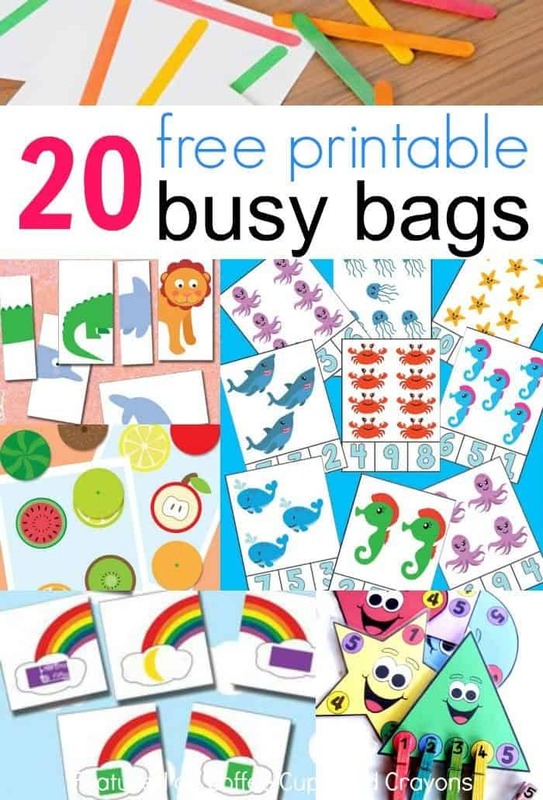 These 20 free, printable Busy Bags are easy to put together and are great to have on hand!